Just a few days ago, Hemel launched a new version of it’s HFT20 series, the Hemel HFT20 Night Ops. On the surface, it looks like the watch was just hit with a coat of paint (as compared to prior models), but there’s a bit more to it than that. And of course, if you’re not familiar with the watch to begin with, well, let’s get you acquainted. 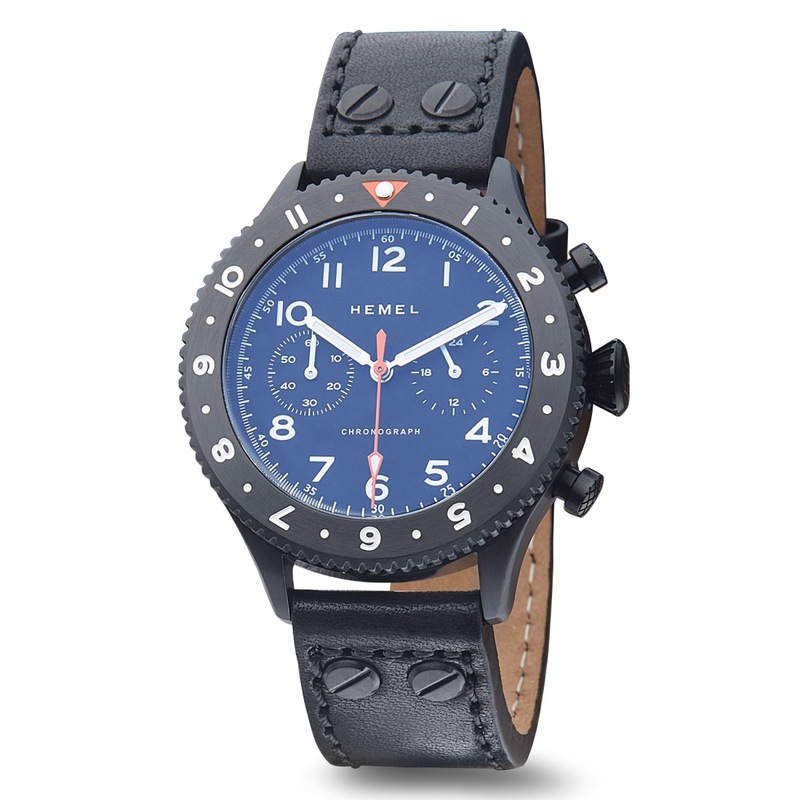 Obviously, the Hemel HFT20 Night Ops is a chronograph. What is less obvious is what is tucked into the 42mm case, in terms of a movement. Here’s it’s the Seiko VK64. This is what is known as a “mecha-quartz” movement. I’ve experienced these in a few different watches, and they always surprise and delight. Basically, it’s a quartz movement (so you’ve got the reliability and accuracy), with a mechanical gear train put in place for the chronograph complication. In practical terms, that means you get a satisfying bit of tactile feedback when you’re working the pushers, unlike the mostly numb feeling you get from pushers on a fully quartz or digital watch. It’s a minor thing, but if you like playing with pushers, you’ll notice it. The next thing to call out on the Hemel HFT20 Night Ops is the case. At 42mm is a reasonable size (verging on large), and the brand has shrunk the height of the case down to 13mm thick. Not the most svelte, but for a chronograph, it’s a good size. Coating the case is a black IP finish, which is of course mirrored with the matte black dial and thick leather strap. Legibility through the flat sapphire crystal should be no issues.